WestJet has dropped the price of some of their December and January flights from Vancouver to Orlando, Florida down to $278 CAD roundtrip including taxes. The flights have one stop in Toronto on the way there, but are non-stop flights coming home. On Priceline, the price will show up as $215 USD roundtrip including taxes. Priceline is *always* in $USD. This will work out to $278 CAD roundtrip when booked using a Canadian credit card, and including the typical credit card foreign exchange fee. Update 11/22 - WestJet is showing a few flights in January from Vancouver to Orlando that are non-stop on the way down, with 1 stop on the way home, for $273 CAD roundtrip. On Priceline, the price will show up as $211 USD roundtrip including taxes. Priceline is *always* in $USD. This will work out to $273 CAD roundtrip when booked using a Canadian credit card, and including the typical credit card foreign exchange fee. Update 12/2 - WestJet is showing a few flights in January from Vancouver to Orlando that have 1 stop on the way down, and are non-stop on the way home, for $265 CAD roundtrip including taxes. On Priceline, the price will show up as $207 USD roundtrip including taxes. Priceline is *always* in $USD. This will work out to $265 CAD roundtrip when booked using a Canadian credit card, and including the typical credit card foreign exchange fee. Update 12/17 - WestJet is showing one non-stop flight in January from Vancouver to Orlando for $262 CAD roundtrip including taxes. But there is only a single seat available. On Priceline, the price will show up as $201 USD roundtrip including taxes. Priceline is *always* in $USD. 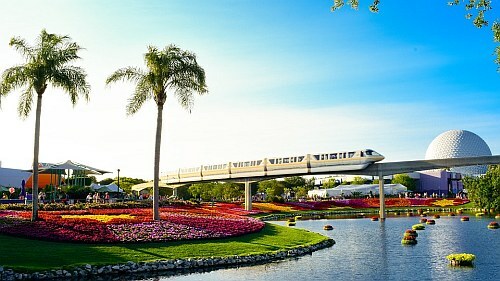 vancouver, yvr, flight deals, westjet, florida, orlando, mco, united states, north america and disney world.